The priest courted controversy after a video of his speech criticising the BJP, Amit Shah, Narendra Modi and late Goa Chief Minister Manohar Parrikar, went viral on social media. 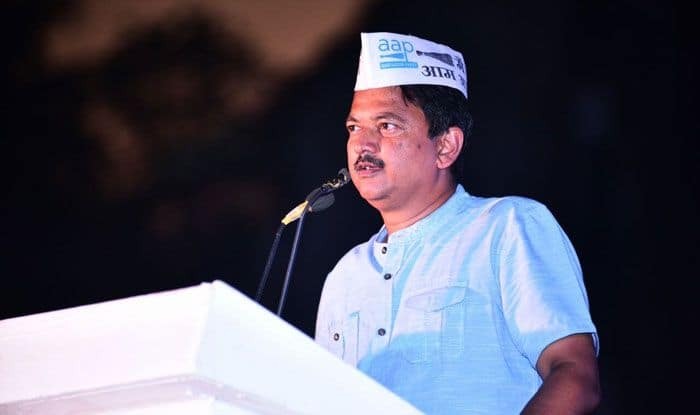 The Aam Aadmi Party (AAP) in Goa has defended a Christian priest who is under scanner of election authorities for alleged hate speech. The party, contesting the Lok Sabha polls in the coastal state, said there was nothing “objectionable” in what the Christian priest has said, and accused the BJP of “spreading communal hatred and divisiveness”. The Goa Church, which wields considerable influence among community members, has expressed regret over the priest’s statement and asked him to refrain from making such remarks. “What’s wrong in that? I personally don’t see anything wrong in that. I don’t think anything that is there in the video is objectionable,” Gomes said. “Every day you hear news about BJP spreading communal hatred and divisiveness in the society. They are into that,” said the former bureaucrat, attacking the saffron outfit. “Recently, the BJP president himself said infiltratorswould be thrown out of the country. Who are theseinfiltrators? Apart from Hindus and Sikhs rest all areinfiltrators,” he said.